Rivers United and Plateau United are the only two clubs that have yet to taste defeat as the 2016/17 Nigeria Professional Football League season enters week 5. The unprecedented poor start of Akwa United remains a cause of worry for the Uyo based side and her fans considering the enormous confidence invested on Abdul Maikaba who, just last season, secured a continental place for Wikki Tourists. 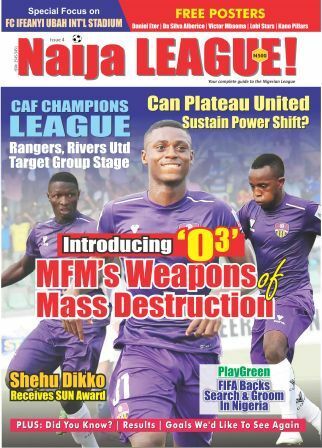 As the news of top goal poacher, Godwin Obaje’s move to FC Ifeanyi Ubah filters in; it will be an amazing spectacle to see the young lad kit against his former side, Wikki Tourists who are host of the Anambra Warriors. No doubt, the Jos Boys are having one of their best starts of the season in the premiership as they remain unbeaten and are at the apex of the log going into Match Day 5. This exploit is orchestrated by no other person than kennedy Boboye who, over time, has developed a reputation as one who begins the league with much vigor, feats and potency, but ends up not fulfilling the potentials of gaining top spots in the championship. His latest jobs at Sunshine Stars and Abia Warriors can testify. This weekend, the fixture in Jos revolves around Kennedy Boboye. He welcomes one of his former employers, Abia Warriors. This will be a litmus test for him, as he will lead his lads against their Umahia counterparts who are managed by veteran gaffer Okey Emordi. Apart from that, the last time Abia Warriors visited Jos against United the game ended in a stalemate and Boboye gained the point for Abia Warriors. Now, he finds himself in position to prevent a reoccurrence or at most make sure United grabs maximum points. Also, in goal for Plateau United will likely be former Abia Warriors shot stopper, John Ga’adi. This might be more interesting for the visitors who are quite familiar with the goaltender. 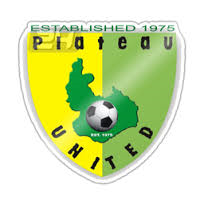 A win for Plateau United will keep them at the top. To maintain this spot is an uphill task because the Okey Emordi tutored side will give their host a run for their money.